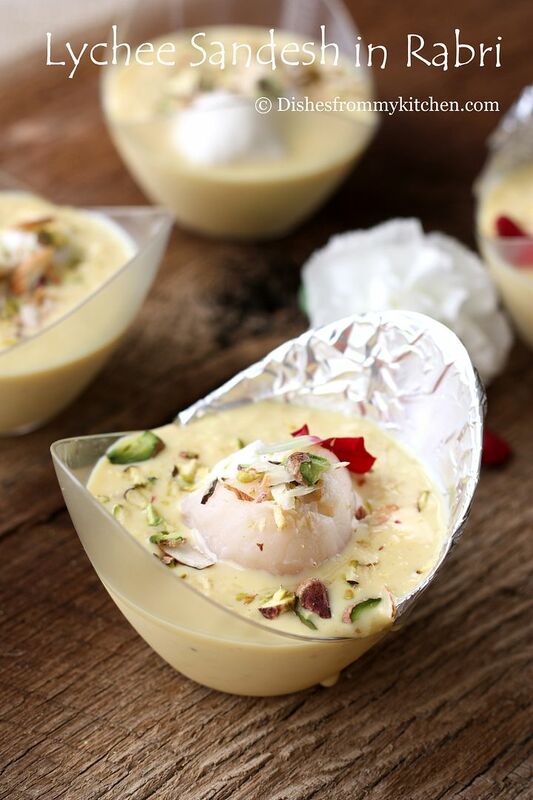 Dishesfrommykitchen: LYCHEE SANDESH IN RABRI - PURELY DIVINE !!! Lychee is one of my favorite fruit from my childhood days. It was really expensive fruit in those days and my dad would get them for us when he comes from his business trip. From that time it became one of my favorite fruit, not only me its all in our family loves Lychee a lot. Even though we eat that fruit very rare we will never miss the flavor, yes our refrigerator will always have the Lychee squash. Lychee squash is wonderful summer treat :) So don't miss it. The fresh fruit has a "Delicate, whitish pulp" with a "Perfume" flavor. Its distinctive flavor tastes so good with any milk based desserts. Ok coming to the recipe, this is a rich and wonderful dessert. Even though it’s little bit time consuming it’s really worth the try. I made this after a loooooong time, even I can say few years. 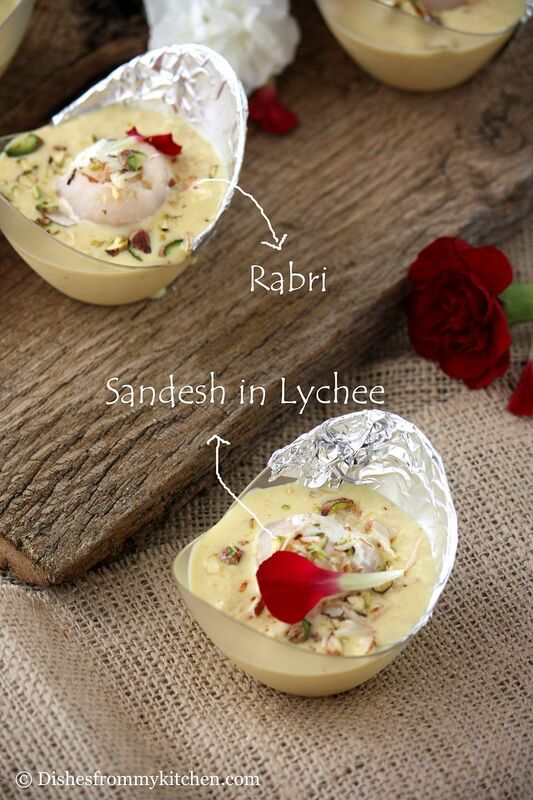 This recipe has two parts one is Rabri and another one is Sandesh which is stuffed in Lychee. Rabri is condensed milk based dish made by boiling the milk on low heat for a long time until it becomes dense and changes its color to pinkish. 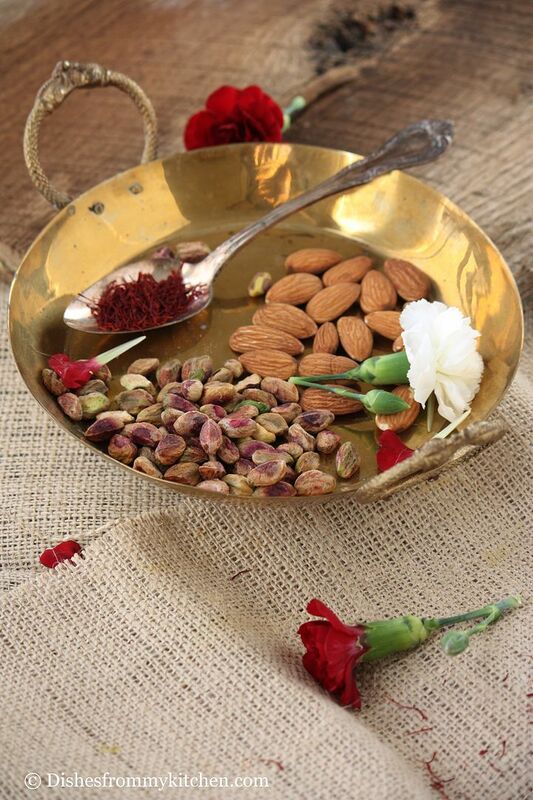 Sugar, spices and nuts are added to it to give it flavor. It is chilled and served as dessert. Rabri is the main ingredient in several desserts. **** Here are some of my Rabri based desserts which I have posted earlier try them I am sure you will love it. 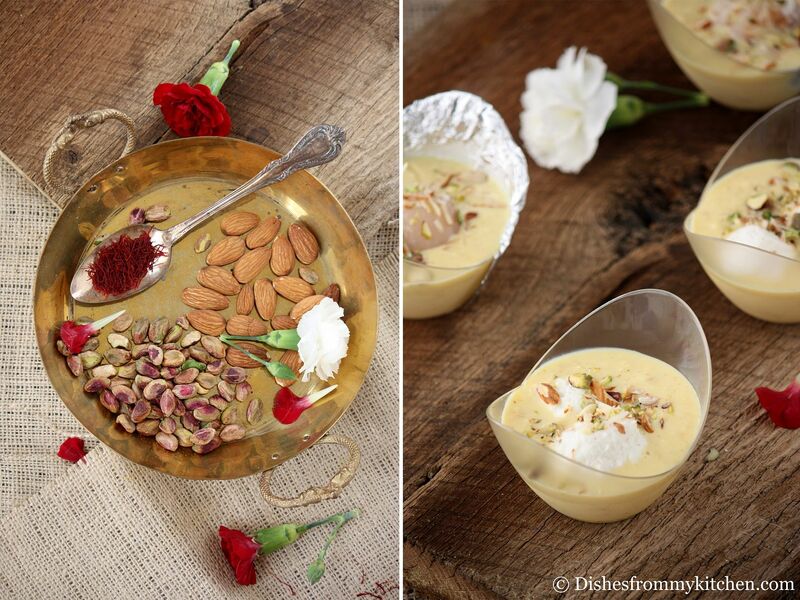 “Apple Jalebi with Pistachio Rabri “– Warm Apple Jalebi with cold Rabri is purely divine! Sandesh is a typical Bengali dessert. The most common way of making the Sandesh is with the use of cottage cheese. Cottage cheese (chhena) is the solid form which is separated by curdling milk. It is basically prepared by tossing the Indian cheese (chhena) lightly with sugar over low heat. That mixture is flavored and nuts are added, now the mixture is shaped based on the moulds. The majority of these moulds are carved out of stone, though some may also be carved from wood. The recipe which I am posting today is the combination of above all. Don’t you think it is awesome???? It’s divine...we enjoyed the treat and hope you all enjoy my virtual treat. 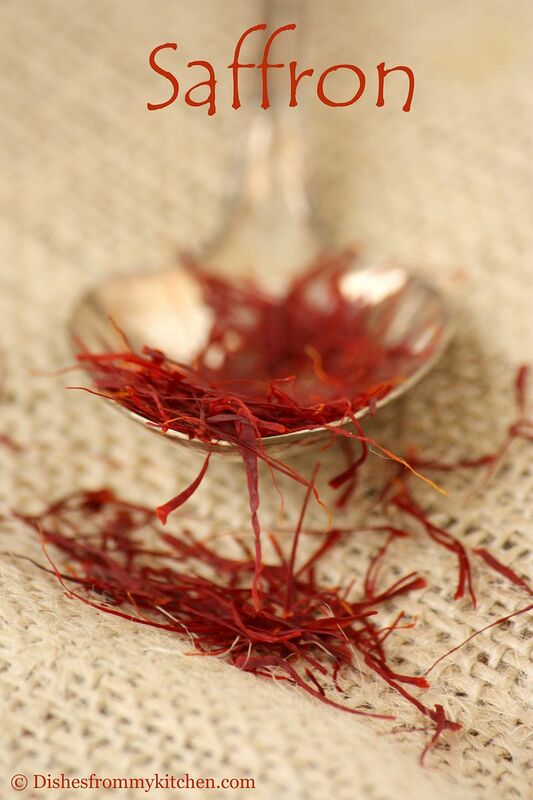 Saffron strands - few dissolved in little Milk. 1. Bring the milk to a boil. 2. Add citric acid dissolved in a little water, continue to boil till the milk curdles. 3. Strain the Paneer (cheese) by draining excess water and allow it to cool. 4. Put the Paneer and sugar in a blender and churn to obtain a smooth paste. 5. Add this paste to a pan and fry slightly (for 2 minutes) switch of the flame and now add the cardamom. Let this mixture cool completely. 1. Boil milk in a heavy bottomed vessel. Keep stirring continuously till it is reduced to 3/4 th the quantity. 2. Add sugar and stir till it is dissolved. 3. Now churn the bread in a blender by adding 2 tsp of milk. 4. Add this to the milk mixture followed by cardamom and saffron. Bring to one boil. 5. Remove from heat and allow it to cook completely. Once it is cooled add the chopped nuts reserving few for garnishing on the top. Refrigerate at least for couple of hours or until you are ready to serve. 1. Stuff Sandesh in fresh or tinned Lychee. Being a bong I am really glad to see that you actually made sandesh the right way!! Yaaay :) most recipes run under the misconception of shaping the sandesh without cooking it.. a beautiful dessert indeed! Such a beautiful dessert Pavi! I love sandesh and I love litchi, but never ever thought of pairing them together. This sounds absolutely delicious, and wonderful presentation!! Pavi, Simply Hats Off to you! You have prepared a sandesh which even Bongs like us would struggle to prepare. Looks simply stunning. Wow...super...lychee sandesh sounds too yummy and love the beautiful clicks..
wow so delicious and equally well presented! great job! m drooling...very innovative..wonderful clicks..simply divine..words r nt enough..
wow ...OMG....i hv no words....this is awesome and so inviting ..yum yum...moreover....who can resist frm eating after seein ur perfect picks....luv the presentation as always! u rock girl! Superb clicks and amazing dessert...it has everything which I love..lychee my favorite fruit(just relate 2 u),sandesh-one of fav sweets and rabdi-all time favorite...perfect dessert.. I am a Bong, so you can imagine how much I want to eat that right now! Wow!!!! Super cool delicious dessert. 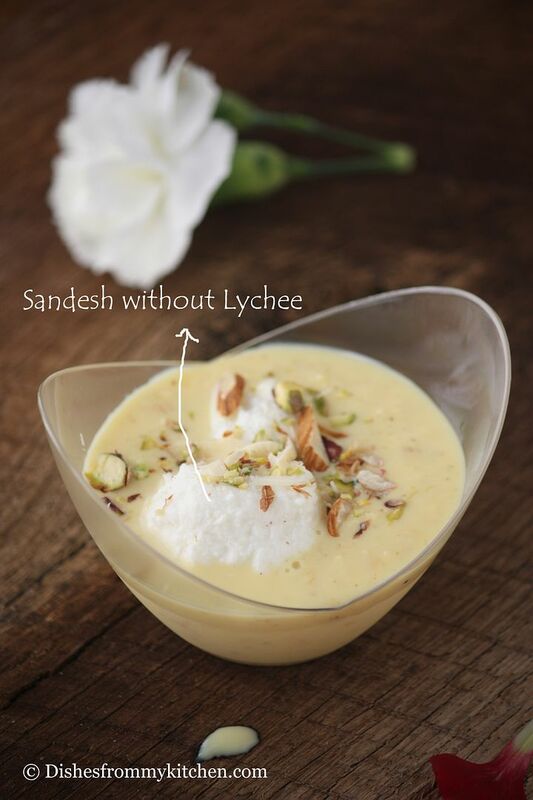 Amazing combination of lychee and rabri. 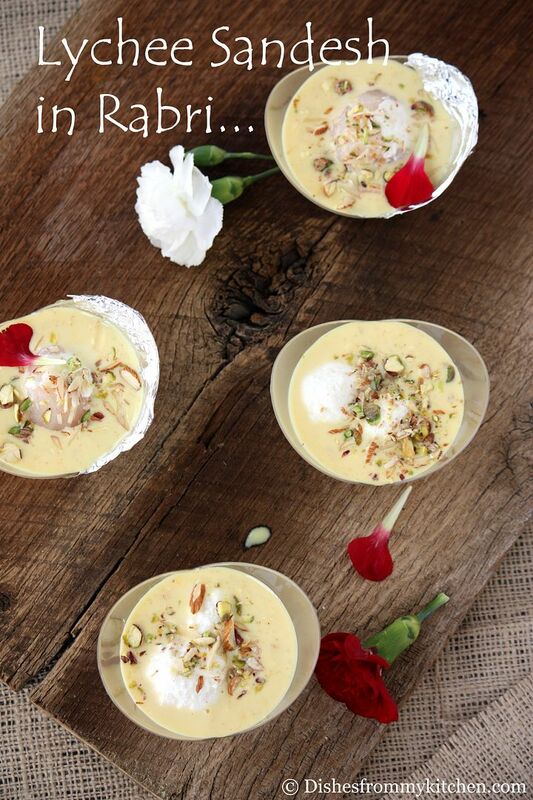 Yum..yumm... wonderful click and a lovely recipe! Dessert looks so yummy and the pics are excellent as always. What a splendid dessert. And amazing photography. amazing dish and amazingly presented and awesome snaps to raise the readers temptation!! perfect!! 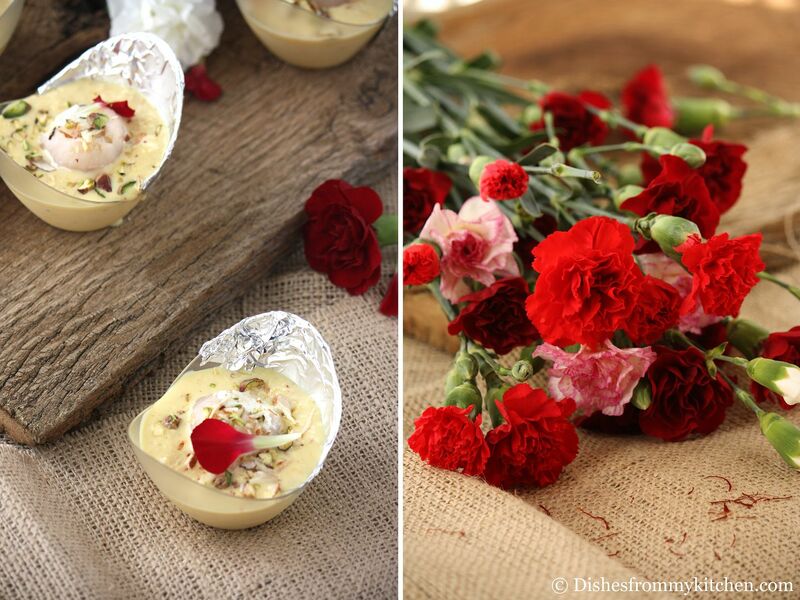 Gorgeous photos, as always, and a great-looking dessert as well. Thank you. That looks so delicious! I love lichee and sandesh and both together sound like heaven! Omg, wat an irresistible dessert,seriously both sandesh and rabri are my fav..inviting myself..
Wooow looks delicious and tempting. beautiful clicks.